Suzanne Pillans, along with her husband, Wilfrid, and dauther, Rebecca, own and operate Standlake Equestyrian Centre and Ranch in Oxfordshire, UK. 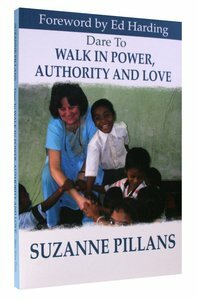 Suzanne's ministry has established and International Bible School for parts of rural Africa and the Far East, and also a Bicycle Minisry that plants churches in remote villages. She speaks at conferences and crusades worldwide, and has written several books, the most recent is Dare to Enter His Presence which was the book of the month on US TV's Harvest Show.